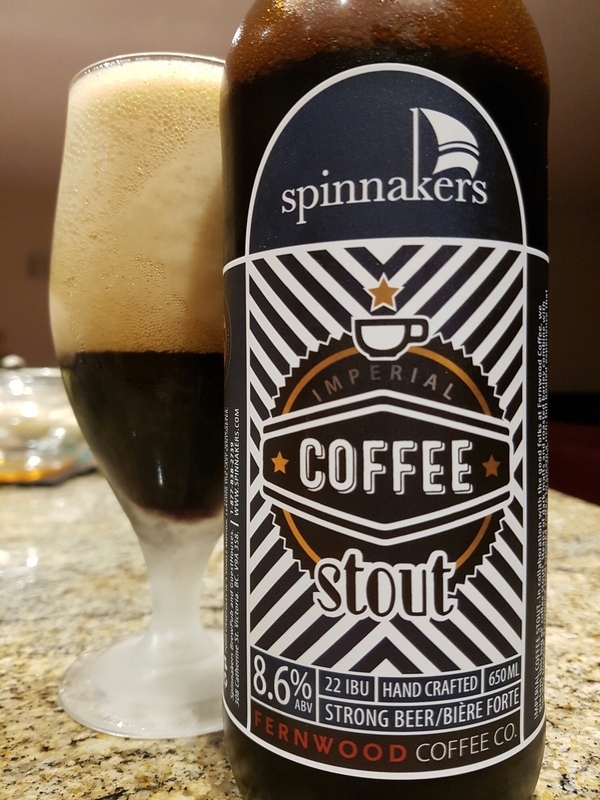 Imperial Coffee Stout – Spinnakers Brewpub (Victoria, BC, Canada) | Justintoxicated. -yep, another Spinnakers brew. Really, I’m just saving all my best bottles that I know can age for later date. 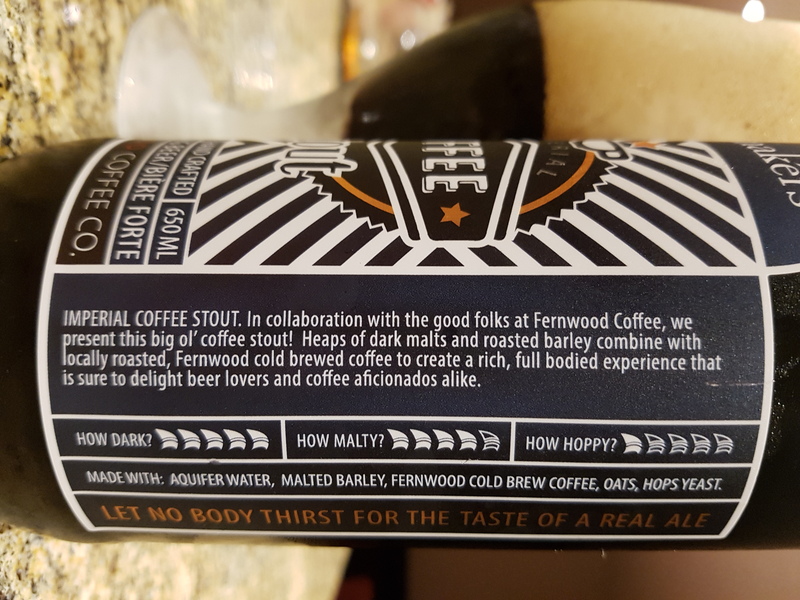 Ingredients: aquifer water, malted barley, Fernwood cold brew coffee, oats, hops, yeast. Visual: Pours super dark brown with a lasting 70% foamy head, not much lacing, clusters of steady micro streams visible near the surface. Summary: Not the most elegant of imperial stouts but this one does have a pretty good flavour profile, good depth and complexity. Being that this incorporates cold brew coffee, there should be cleaner, fruitier coffee notes but nonetheless this is my favourite Spinnakers brew of the 11 that I’ve tried.